The University of Greenwich topped The People & Planet Green League 2012. 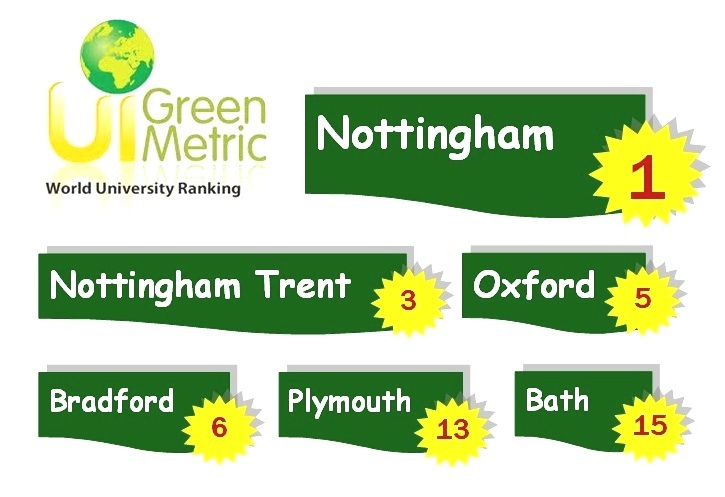 The rest of the top five places went to Plymouth, Brighton, Gloucestershire and Nottingham Trent (last year’s winner). Among the biggest forward leaps are those of the University of Surrey (67 places, from joint 114th in 2011 to 47th in 2012), Cardiff University (55 places, from joint 130th to 75th), the University of the West of England (UWE) (26 places, from joint 37th to joint 11th) and the University of Brighton (18 places, from 21st to 3rd).